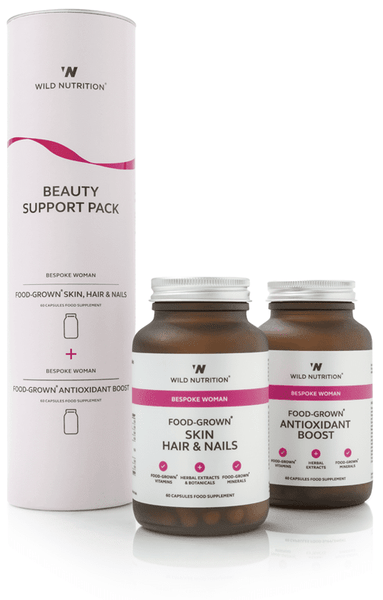 A unique complex of Food-Grown® vitamins and minerals, amino acids, biomass mycelial mushrooms and Elderberry. For all the family to optimise defences during busy and challenging times. 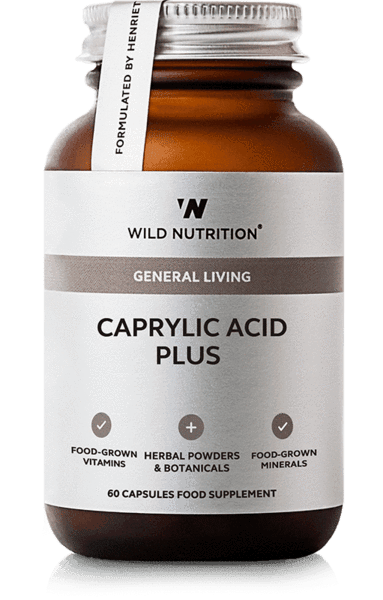 For those managing existing immune-related conditions and winter wellness. Dosage: 2 capsules per day as a prophylactic dose. 4 capsules on the onset of infection or established inflammation. Dose can increase to 8 per day if required. 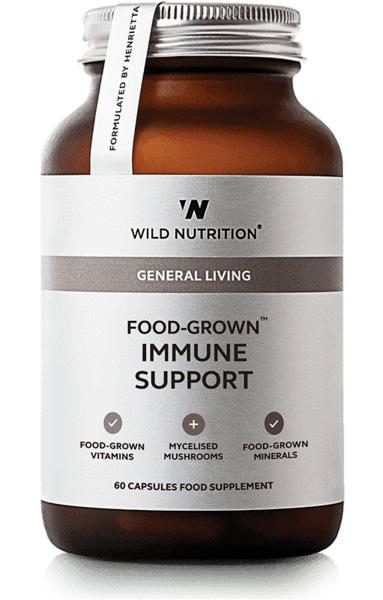 Our expertly formulated Food-Grown® Immune Support is a powerful blend of biomass mycelial mushrooms, N Acetyl Cysteine, Elderberry and Food-Grown® vitamins and minerals to support the normal function of the immune system and promote our natural defences against infection. Our unique product includes the pioneering process of mycellial biomass to produce our mushrooms. 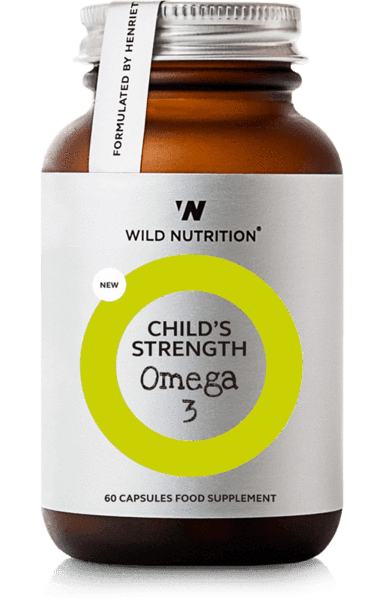 This intensifies the immune supporting properties of beta-glucans, polysaccharides and antioxidants, enzymes super oxide dismutase and glutathione peroxidase naturally found in mushroom complexes. Ingredients: Vitamin C and Bioflavonoids incorporated in Citrus pulp; Mineral enhanced Yeast providing Vitamin D3, Copper and Selenium; Lactobacillus bulgaricus providing Niacin, Zinc and GTF** Chromium; Beta-Carotene incorporated in Carrot concentrate; N-Acetyl Cysteine; Elderberry extract; Maitake Mushroom powder (Mycelised) and Oyster Mushroom powder (Mycelised). Vegetable cellulose (capsule shell).